COLUMBUS, Ohio (AP) — A federal judge improperly praised Ohio Gov. Mike DeWine's decision to delay an execution based on the judge's scathing critique of the state's lethal injection method, the state attorney general said. In a court filing earlier this week, Attorney General David Yost said Magistrate Judge Michael Merz' remarks were an improper use of the judge's position. At issue is a series of execution delays ordered by DeWine, a Republican, after Merz raised concerns about Ohio's lethal injection method. After the governor issued his first delay - of the February execution of death row inmate Warren Henness - Merz said that decision "embodies excellent public policy." The judge also said he was "deeply gratified" by DeWine's expression of trust in Merz' lethal injection ruling. "The Court fully expects that the Governor will do whatever is needed legally to keep the public commitment he has made, the important first step being the reprieve of Warren Henness," Merz wrote last month. The attorney general said judges "are not supposed to use the federal bench as a bully pulpit to influence state policy." The judge's "statements needlessly (and perhaps unintentionally) entangle the federal judiciary in a policy dispute on a hot-button issue," Yost said. Yost says that wouldn't prevent the state from carrying out executions earlier with its current system. The governor "has announced his intention to develop a new protocol, but he has never suggested that he would deny death-row inmates the choice to use the current protocol," Yost said. Ohio could still use the current method if a federal appeals court rejects Merz' criticism of Ohio's method or if the state can't come up with a new method, Yost said. Merz said on Jan. 14 that Ohio's system could cause inmates severe pain because the first drug, the sedative midazolam, doesn't render them deeply enough unconscious. He suggested inmates could experience a sensation similar to waterboarding. But Merz stopped short of halting executions, saying attorneys for Henness hadn't shown that viable execution alternatives exist in Ohio. Afterward, the governor postponed Henness' execution until September and then three more executions into the fall and then 2020. 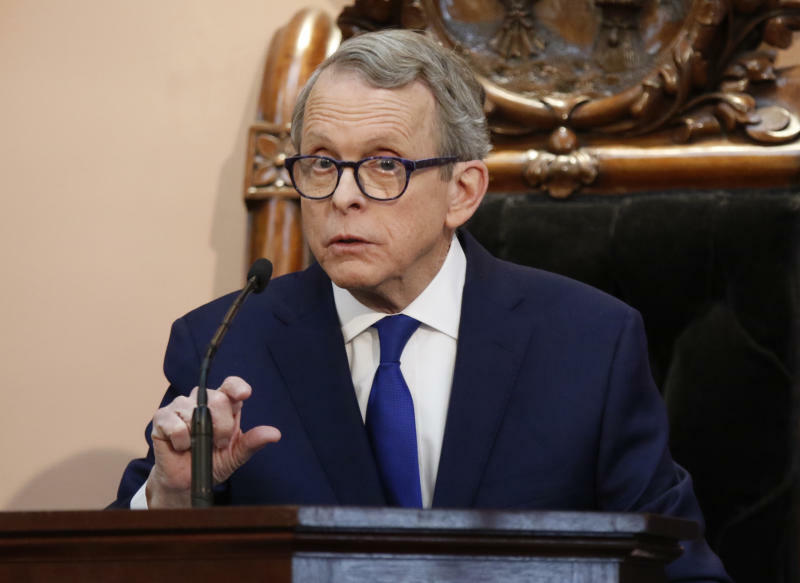 "Ohio's not going to execute someone under my watch when a federal judge has found it to be cruel and unusual punishment," DeWine said in January. A DeWine spokesman confirmed that executions could resume if Merz' order was overturned by a higher court, or if the state created a new lethal injection method that was found constitutional. "If the court decision was overturned on the basis of fact, the governor would certainly look if situation has changed," press secretary Dan Tierney said Tuesday.